Question: What five books would you recommend to young people interested in your career path & why? The Third Edition of this key resource provides a means of understanding and changing organizational culture in order to make organizations more effective. 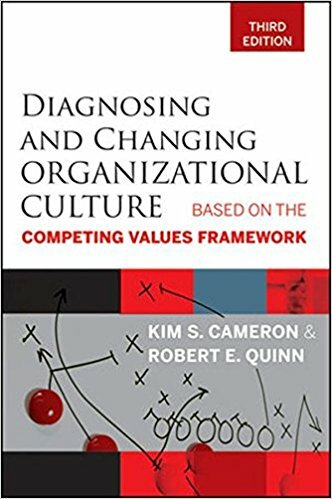 It provides validated instruments for diagnosing organizational culture and management competency; a theoretical framework (competing values) for understanding organizational culture; and a systematic strategy and methodology for changing organizational culture and personal behavior. New edition includes online versions of the MSAI and OCAI assessments and new discussions of the implications of national cultural profiles.